One of the coolest things about the internet is it's a great way to get into business by yourself. No matter where you live, you can make money online. This money can free you from the daily routine and you can travel, practice hobbies and spend time with family. 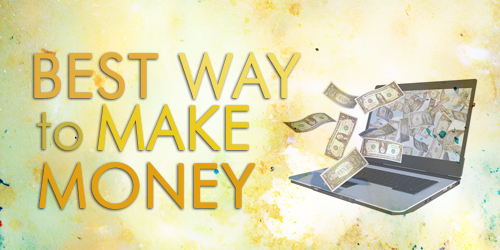 Perhaps the second best part about making money online is that there are lots of ways to do it! The next good thing about working online is that it's very easy to start working. The majority of opportunities to make money online require a small investment or no investment. There are a lot of experiments that you have to do to discover things. But at least you will not need to pay a lot of money to do it. You are the most profitable and powerful business. One of the fastest ways to start selling online is through e-commerce sites such as Amazon, eBay and other global sites, which are strong sales platforms and marketing. Millions of people actually visit these shopping sites. They are ready to buy. Amazon says there are more than 2 million sellers on their site, accounting for 40% of sales. With eBay, the number of active users is about 170 million at the end of 2016! Simply sign up as a seller. After you have been authenticated by PayPal, you can register for your own store. You can set up your own website on this website. It is even possible to sell local and indigenous products from your country that are not available to everyone. All these and other similar sites are actually an easy way to start selling online, but you have to pay for these sites. Some tips from professionals: Use clear, high-quality images for products, include a detailed description, and check competitors' prices so you can bid appropriately. Forex markets and online trading are the best opportunities to make money. The Forex market needs the lowest amount as a starting capital for trading, which can be done 24 hours a day. Global currencies are traded relative to each other rather than traded at absolute values. For example, you can not buy the euro without selling the dollar. The euro price in dollars is known as the exchange rate and varies depending on the performance of each country as well as other factors. A strong dollar means that every dollar can buy more units than a foreign currency, while a weak dollar means that every dollar can buy units lower than foreign currencies. As with any other business, trading as a business needs to be researched and planned. It is important to invest in time and in the search for all aspects of trading and develop a plan that works for you. There are plenty of opportunities to make profits through long term trade. If you want to move your knowledge to the next level and think about turning trading into a business, you have to realize that you can make profits when you are patient and wait for small changes. All people have smart devices and phones now. Why do people use it? It's all about apps. Social media, games, useful tools and fun things. You can enter this area, and you can come up with a new profitable idea that meets a particular need of people and creates an application for that. It is possible to have a computer for hay, better storage methods for photos, a list or anything that makes it easier for the user to deal with daily activities and much more. You do not need to be a programmer. You are the owner of the idea, and you can set people to implement. With programmers available for a small fee through a large number of sites, it is not difficult. an important matter. You need to develop the application so it works on Android and iPhone devices. This way, you expand the user base. These three factors are certainly correct for business via the Internet. 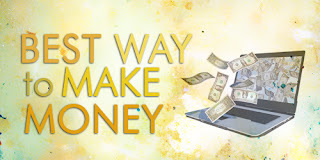 When you are ready, you have the potential to make a lot of money, and the best thing is that you do not need a large budget to enter into this area.